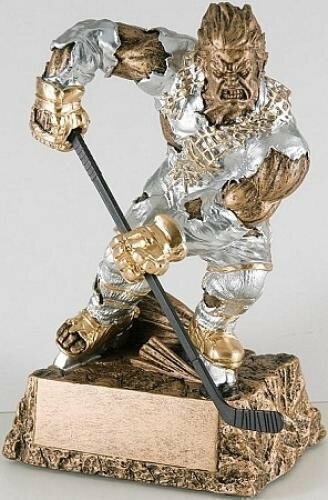 The Monster Hockey resin trophy has big muscles and intense expression. Kids will love it or be scared of it. So be sure to ask your parents how their child will respond before ordering. 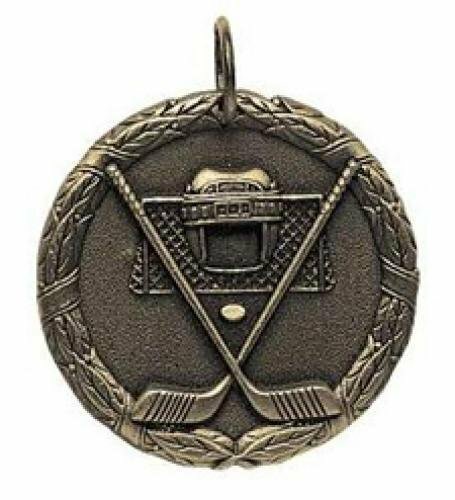 It comes with a brushed gold plate with black laser engraved letters. 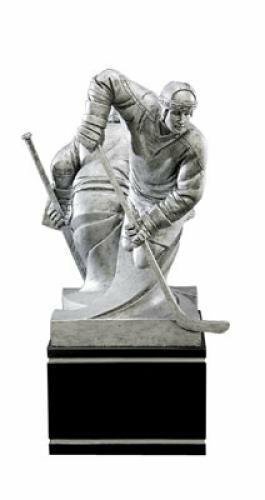 This Ice Hockey Bobblehead resin award is arguably the most adorable bobble head on the market. 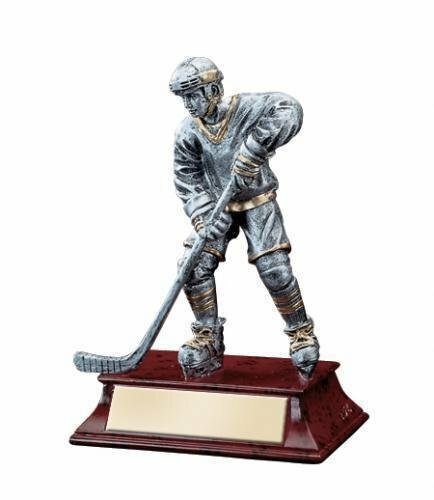 It comes with a brushed gold laser engraved plate. 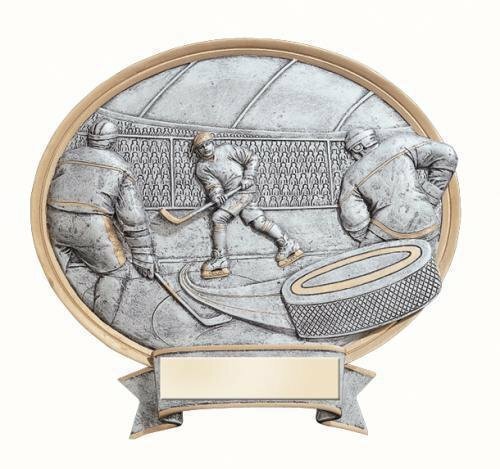 The Hockey Spinner Medal is delivered fully assembled with a laser engraved plate which completely fits into the spinning back of the medal. 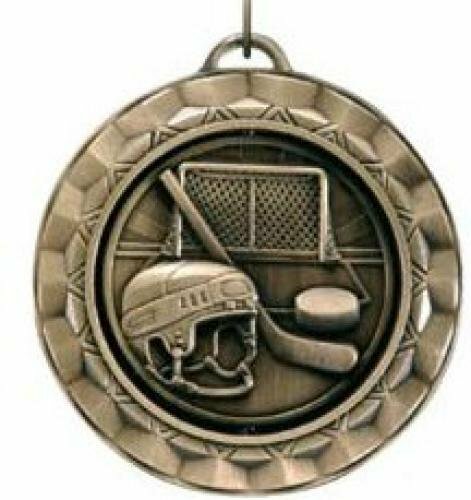 The Ice Hockey Wreath Medal is delivered fully assembled with a laser engraved plate.